Stephen M. Cowherd focuses his practice in the areas of health care and administrative law. He has more than 20 years of experience representing clients before regulatory agencies and advising health care providers on compliance with fraud and abuse laws, Medicare and Medicaid enrollment and reimbursement rules, medical staff matters, patient rights issues, HIPAA, licensure and certificate of need proceedings. His transactional experience includes representing both hospitals and physicians in joint ventures, medical practice acquisitions, as well as mergers and reorganizations. Steve spent the first seven years of his legal career at a large international law firm where he represented Fortune 500 clients in complex commercial litigation, regulatory compliance and internal investigation matters. 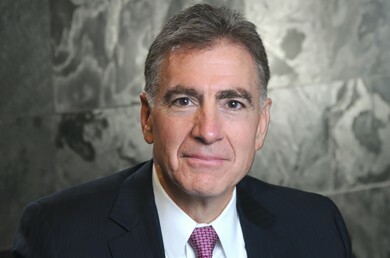 His litigation experience includes: jury and bench trials in New York and Connecticut federal and state courts for health care, insurance, media, manufacturing and pharmaceutical companies; appellate arguments before the New York State Court of Appeals, Court of Appeals for the Second Circuit and New York Supreme Court Appellate Division; AAA, AHLA, and NASD arbitrations and a one-year assignment representing New York City as Special Assistant Corporation Counsel. Prior to attending law school, Steve worked for Doremus Porter Novelli, a large New York City and Washington, D.C. based media and government relations company, representing clients such as Bristol-Myers Squibb and U.S. Healthcare. As a result, he also has significant experience in working with boards and senior management in developing corporate and crisis communication strategies directed at key stakeholders. Counsel to hospitals and specialty providers in proceedings under the CMS, OIG and Connecticut DSS self-disclosure protocols; and multiple representations of health care entities and physicians in MAC, ZPIC and Medicaid audits as well as related DOJ investigations.